within gas fuel trains in process heating system burners. These systems are widely used by oil and gas firms as well by as original equipment manufacturers (OEMs) that produce gas heating equipment or burner management systems (BMSs) and controls in upstream oil and gas pipelines and tanks. 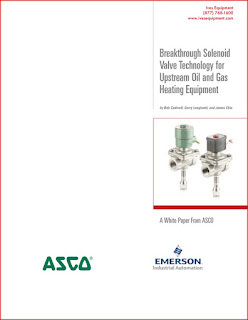 In recent years, a new generation of solenoid valve technology has been changing the shutoff valve game. Their modern designs provide pipeline and tank heating systems with robust, durable performance; safety; and regulatory compliance — all while increasing efficiency and productivity. Many operators in North America and beyond are moving away from using pneumatically operated shutoff valves on their pipelines and tank heaters. They’re replacing them instead with valves introduced within the last decade by a few manufacturers — all based on solenoid shutoff valve technologies. White paper courtesy of ASCO. WARNING: Actuators with preloaded springs are under tension. They can be identified by three long bolts protruding from the bottom of the actuator. These should be removed last, and installed first upon re-assembly. With the actuator removed from the valve, unscrew the nuts and bolts on the diaphragm case. Lift off the top diaphragm case. Remove the diaphragm plate assembly consisting of the diaphragm plate, diaphragm, and actuator stem from the actuator case. Clamp the bottom section of the actuator stem into a vise using protective jaws, ensuring the actuator stem is not damaged. Remove the diaphragm plate from the actuator stem, flip upside-down and place them back onto the actuator stem. If necessary, apply a suitable lubricant to the actuator stem. Install the diaphragm plate assembly together with the actuator stem pointing downward into the bottom diaphragm case. Place the springs onto the diaphragm plate, centering them in the intended recesses. The final actuator spring range will determine the appropriate springs to be installed. Place the top of the actuator case onto the assembly. Ensure that the air connections on the cases are correctly aligned with each other. Fasten the top and bottom diaphragm cases together using the nuts and bolts. Observe tightening torques. The Type 3271 pneumatic rolling diaphragm actuator is designed for all industrial applications. This actuator is a linear motion device ideal for valve sizes ranging from the micro-flow valves to large 20"+ globe control valves. The Type 3277 pneumatic rolling diaphragm actuator with an integrated accessory attachment area is designed for all industrial applications. This actuator is a linear motion device ideal for valve sizes ranging from the micro-flow valves to 4" globe control valves. The thrust force of the actuator depends on the actuator area, pneumatic supply pressure, spring stiffness, distance traveled, initial compression of the spring, the number of springs internal to the actuator, etc. For more information on SAMSON Controls, contact Ives Equipment by calling 877-768-1600 or visiting https://ivesequipment.com. Ives Equipment, headquartered in King of Prussia, PA, is a qualified US Navy supplier of valves, instrumentation, and analyzers. As an authorized ASCO, Worcester Valve, Niagara Meter (Venture Measurement), Siemens, and REOTEMP, Ives Equipment is registered under Cage Codes 1H855 and 6F024. Successful shipboard engineering solutions within steam machinery, chilled water, bleed air, refrigeration HVAC, life safety. 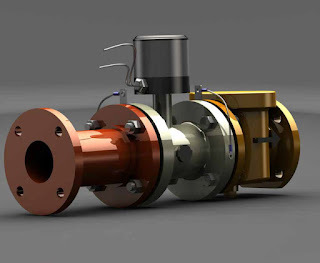 ASCO Valve Authorized Navy Distributor - ASCO designs and manufactures quality solenoid valves to control the flow of air, gas, water, oil and steam. ASCO's Navy/Marine product line represents a select line of valves designed to meet US Navy specifications. 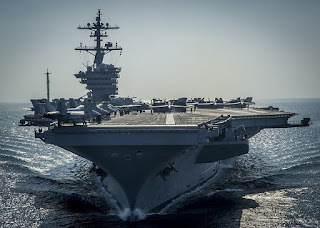 SIEMENS - Pressure, differential pressure, temperature and level transmitters for US Navy ships. Worcester Valve (Division of Flowserve) - Having earned a reputation over 45 years for high performance and reliability, Worcester ball valves are installed on submarines and surface ships throughout the world. Their product range of materials includes Nickel Aluminum Bronze (NAB), Monel and Titanium. Niagara Meters (Venture Measurement) - Niagara Meters is known for their robust and proven flow meter designs. Niagara Meters’ flow meter technology is used by the US Navy for operation on naval ships. Niagara Meters is proud to be a company built on innovation and reliability for which the brand has become known. REOTEMP - Resistance temperature detector (RTD) assemblies used aboard US Navy ships. 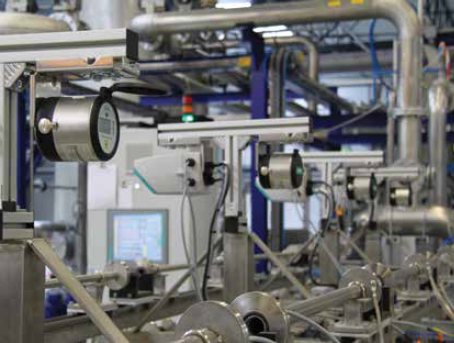 While other flow measurement technologies (e.g. magnetic or vortex flow meters) are also used in district energy applications, clamp-on ultrasonic flow meters are often an optimal solution since they are externally mounted.They are especially well-suited for use with existing hot or chilled water distribution lines. In existing applications they are quick, easy and less expensive to install than other flow meter options because there is no need to cut the line, interrupt service, or drain the pipe. They also do not require the installation of bypass piping and valves for removal; maintenance expense is minimized since they do not have moving parts; and, used outside the pipe, they do not require periodic cleaning. hot or chilled water distribution process and used to measure two applications simultaneously. They may be installed where an “intrusive” flow meter is not possible or appropriate – when only temporary measurements are needed, for example. All measurements can be logged and time-stamped for creating analyses and reports. 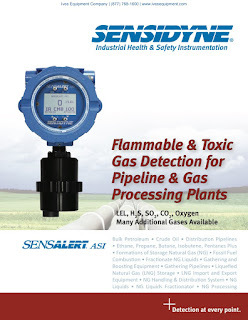 Industry-leading reliability, SensAlert ASI is the ideal fixed-point gas detector for critical safety applications. 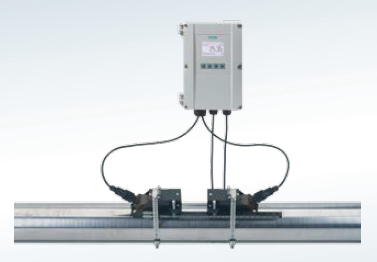 Flexible configurations and a simple interface provide maximum application versatility while remaining the easiest to install, commission, operate, and maintain. 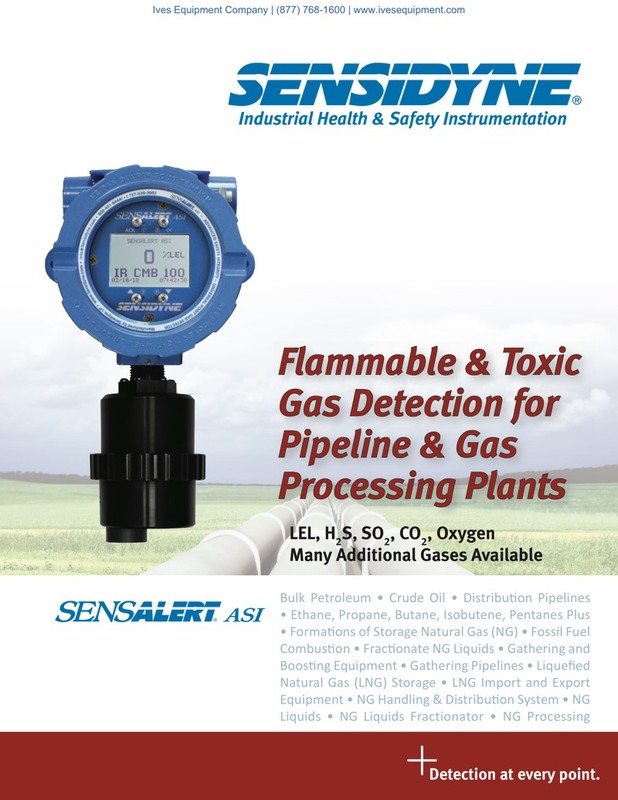 Download the Flammable & Toxic Gas Detection for Pipeline & Gas Processing Plants guide book at the Ives Equipment website here. The SIEMENS SIPART® PS2 electro-pneumatic valve positioner is used to control the final control element of pneumatic linear or part-turn valve actuators. It is is currently the most widely used positioner for linear and part-turn actuators in a broad range of process industries. New features have been introduced, namely improved diagnostics, additional integrated pressure sensors, a fast open/fast close function, integrated booster, easy setup, a partial stroke test, fail in place function, and valve performance tests. Watch the video to understand more. Announcing new flow measurement solutions available from Siemens Process Instrumentation. Siemens Engineering Instrument Solutions (EIS) is proud to offer new customized features for Siemens magnetic flow meters. This enables SIEMENS to take their high performance magnetic flow meter products and customize them to meet a customer’s specific needs. By offering out of the box features that would normally be conducted in the field, customers experience reduced startup time and cost savings. Durable enough to withstand extreme temperatures, high humidity and erosion. For more information visit about Siemens Engineering Instrument Solutions visit this page.